The homeless man I pass by everyday is missing. 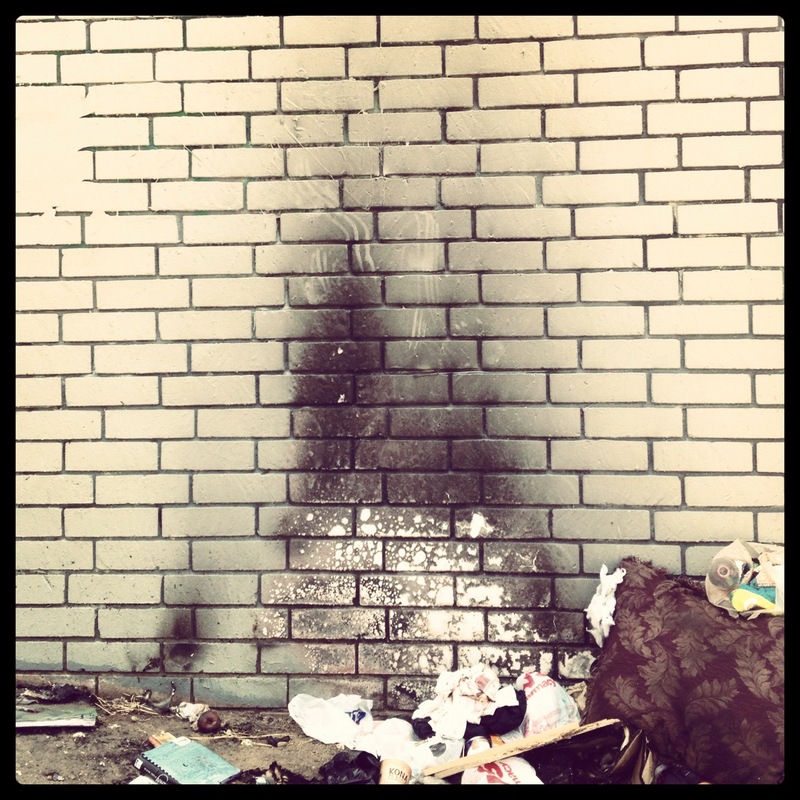 His area is in a new state of disarray and the brick wall is burnt. I am full of sadness. I am regretful that I avoided him recently. I hope that tomorrow, I see him, and that all my worries are laughable, but right now my stomach is knotted. I don’t know why. I realize that in a strange way I care about him, but I am also seriously frightened by him. These feelings are in conflict with one another. I took this photo to remember the difficult feeling, then walked down to the subway station, sat down, and opened up my book. I am thankful for Saturday. beautiful! this post and all of your posts. i can’t wait to see you tonight! Thanks, Annie! Your site is always an inspiration to me! I love so very much who you are and what you do! More tonite! Yay!